Learn how to setup, photograph, and post-process HDR images to keep noise at a minimum with fine-art photographer Ali Elhajj. This workshop will be a deep dive into creating clean images using Topaz Denoise in your HDR workflow. Bring your questions and be ready for an in-depth HDR discussion! Ali is an Orlando based pro photographer specializing in High Dynamic Range (HDR) Photography. 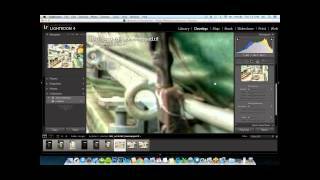 What can you do about solving the problem of all HDR images looking absolutely revolting?